The electrosmog-free VitalWOOD CRADLE bio-boxspring beds represent the latest generation of upholstered beds and boxspring beds. Due to carefully selected materials, meticulous handwork as well as the entirely metal-free and the worldwide innovative structural solution, VitalWOOD CRADLE bio-boxspring beds elevate the bio-harmonic sleep culture to a higher level. The popularity of VitalWOOD CRADLE bio-boxspring beds is due to the metal-free design, the harmony of construction elements that guarantee unique comfort and durability as well as the elegance of reflecting the bio-harmonic sleep culture. The specialty of the VitalWOOD CRADLE intelligent foundation is that it is made of with the installation of double line wooden slat in lays instead of the usual metal springs. The double lined slat inlay with different rigidity in the shoulder, waist and hip zones provides extra support both to the mattress and the human body lying on it, thus the VitalWOOD CRADLE provides unique comfort. 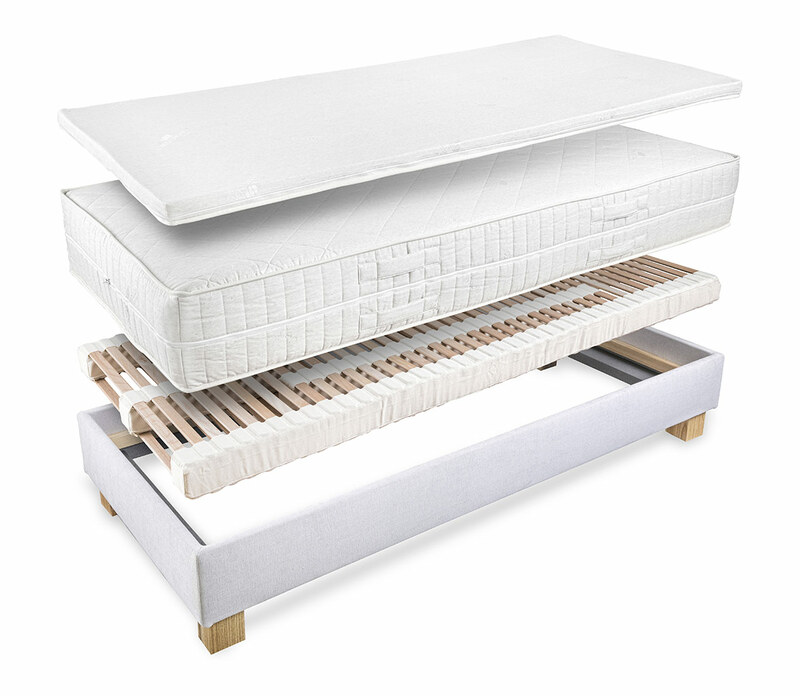 The VitalWOOD mattresses that you can choose for your bio-boxspring bed contain wooden coil springs made of soild beech wood in their core part, allocated accordingto anatomical aspects, with comfort layers attached to them on both sides, which release the spine, do not create high pressure points on the surface of the body and guarantee a perfect air circulation and a moisture absoprtion. 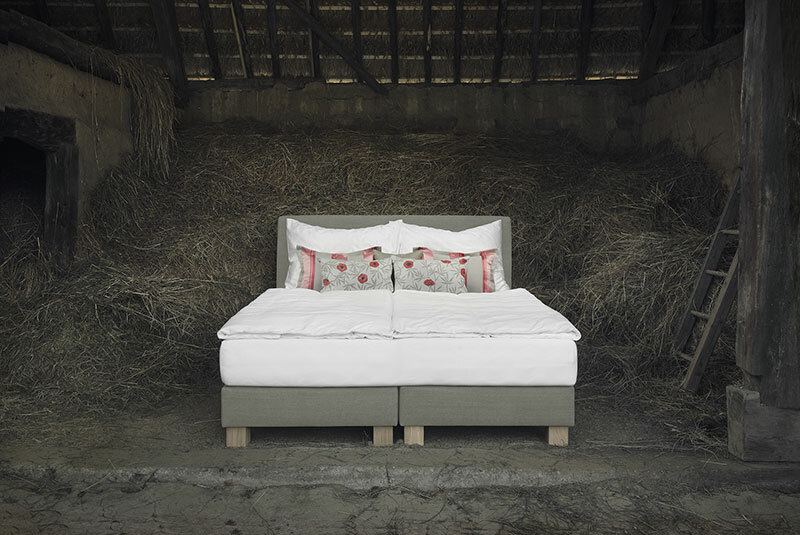 Reflecting bioharmony, the unique looking headboards are all made with a 100% natural fabric cover with an excellent touch that you can wash at 30 °C and can iron as well. 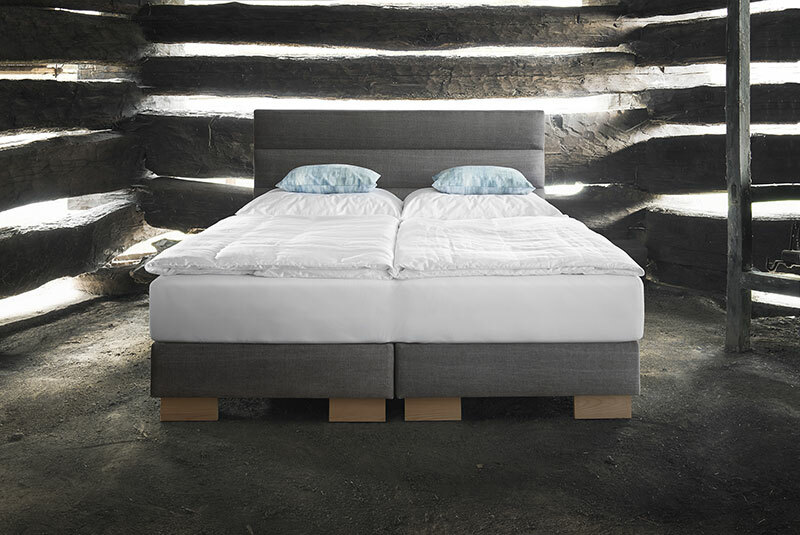 The headboards are manufactured with a stable internal structure and solid pinewood bracing, with a metal-free solid beech connectors attached to the bed corpus. The headboards made by hand meticulously can be ordered with a variety of surface and design, patterns and thickness. Your night's rest can be further improved with the topper mattresses that you can choose for the VitalWOOD bioboxspring beds. 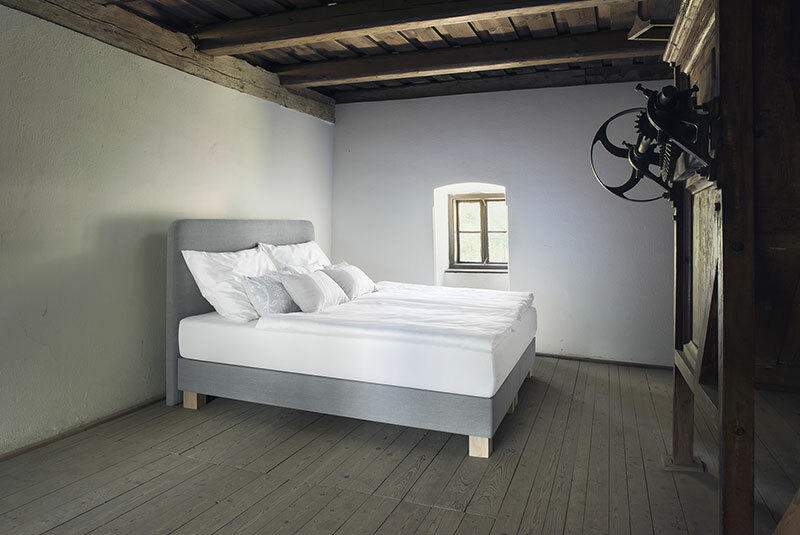 Considering the aspects of sleep comfort and sleep climate, the toppers used can improve body countouring, joint protection, as well as heat and moisture absorption according to individual needs.